LOCATION.--Lat 42°07'45", long 76°16'14" referenced to North American Datum of 1983, Tioga County, NY, Hydrologic Unit 02050103, on left bank at downstream side of bridge on State Highway 96, 0.5 mi upstream from Catatonk Creek, and 1.5 mi north of Owego. PERIOD OF RECORD.--Continuous record--January 1930 to September 1978, annual maximum only--1979 to current year. REVISIONS HISTORY.--WDR NY-83-3: 1981-82 (M). GAGE.--Water-stage recorder. Datum of gage is 819.82 ft above NGVD of 1929 and 819.31 ft above NAVD of 1988 (VERTCON). Prior to July 9, 1935, water-stage recorder, and July 9, 1935, to Sept. 30, 1936, wire-weight gage at site 50 ft upstream from Route 96 bridge at datum 1.0 ft higher. Oct. 1, 1936 to Sept. 30, 1962, water-stage recorder at site 300 ft upstream from Route 96 bridge at datum 1.0 ft higher. 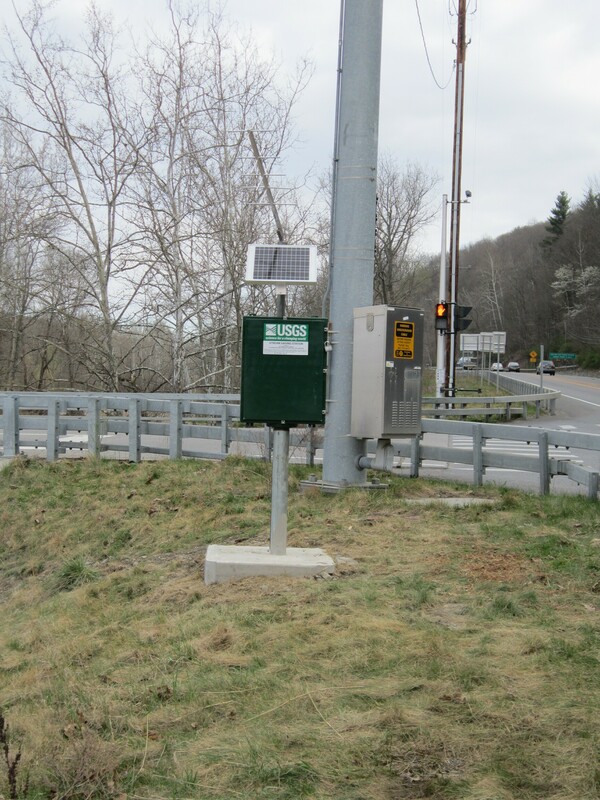 Oct. 1, 1962 to Sept. 30, 1978, water-stage recorder, and Oct. 1, 1978 to March 31, 2012, nonrecording gage at site 300 ft upstream from Route 96 bridge at present datum. EXTREMES FOR PERIOD OF RECORD.--Maximum discharge, 23,500 ft³/s, July 8, 1935, gage height, 11.50 ft, from floodmark; maximum gage height, 13.05 ft, Sept. 8, 2011.